The US Food and Drug Administration made a big leap forward this Thursday when it comes to fighting the overdose deaths that have been quickly amassing due to the epidemic that is opiate addiction. The FDA has announced the approval of the first hand-held Naloxone auto-injector, designed to be easy enough to use that a caregiver or family member can administer the lifesaving dose of Naloxone upon suspected or confirmed overdose. 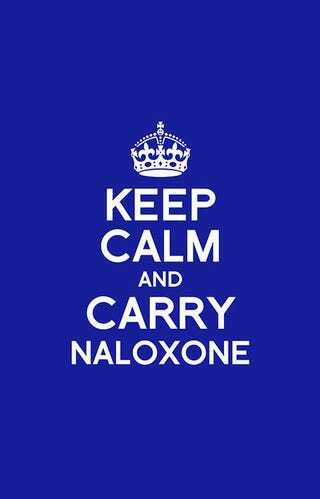 This is an impressive step when it comes to effectively treating opiate overdose. Currently, even though Naloxone is in use, it is not readily available to caregivers, family members or even street teams in the event they encounter an overdose. This lifesaving treatment is generally administered via syringe by trained hospital or EMS staff. This can be problematic, as it delays the time it takes to administer a lifesaving dose. “Evzio is the first combination drug-device product designed to deliver a dose of naloxone for administration outside of a health care setting. Making this product available could save lives by facilitating earlier use of the drug in emergency situations” said Bob Rappaport, M.D., director of the Division of Anesthesia, Analgesia, and Addiction Products in the FDA’s Center for Drug Evaluation and Research. It truly can mean the difference between life and death! The FDA states that the approval of Evzio is a major step forward when it comes to addressing the increasingly common problem of opiate addiction and overdose, and I have to agree with them. Any new weapon to combat overdose is a step forward, but the fact that Evzio is designed specifically for easy usage and administration by caregivers and family is ground breaking. Arming those who are most likely to encounter overdoses with a lifesaving treatment is an essential step. One the FDA is well aware they need to take, especially after the backlash and mounting criticisms relating to the approval of the strong opiate medication Zohyro. While I'm not generally a fan of taking one step forward and two steps back, the approval of an easy to use, handheld device that is capable of delivering a lifesaving dose of Naloxone is be step I can't criticize. Putting it in the hands of caregivers and families will undoubtedly save countless lives, and allow addicts who would otherwise be facing death a second chance at life and sobriety.